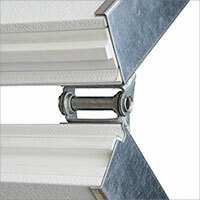 ThermoMark™ Model 530 is the strongest and most thermally efficient door in the Wayne Dalton product line-up. Premium 3” thick foamed-in-place polyurethane insulation provides one of the most thermally efficient doors in the industry. It is designed to withstand tough weather conditions and is the preferred choice for large openings where thermal performance and durability are essential. 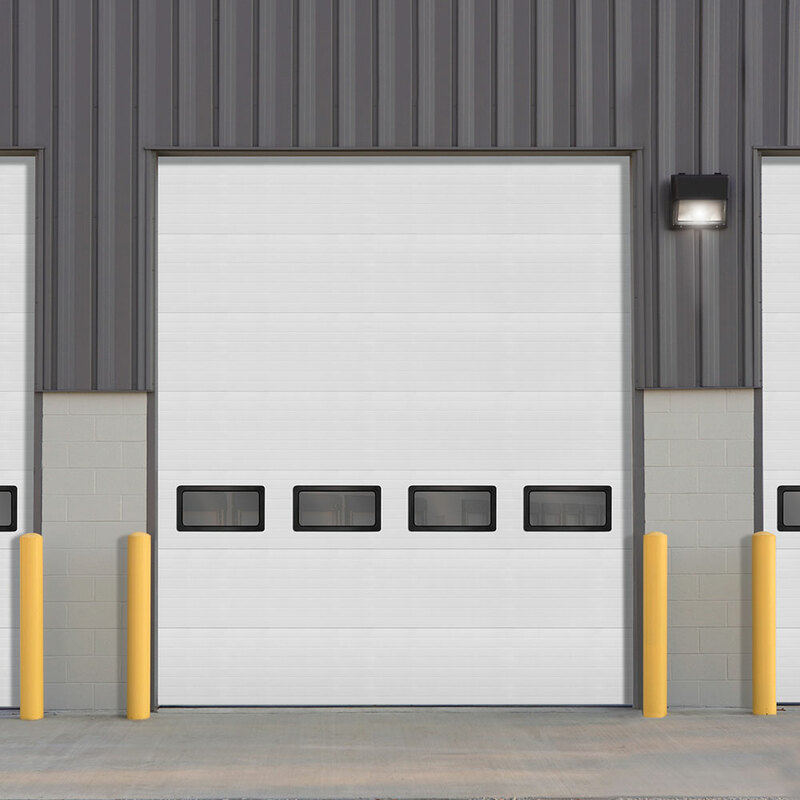 Wayne Dalton’s ThermoMark™ insulated doors help to minimize energy costs and provide year-round comfort and security for your building. Inside and outside skins are roll-formed and separated with a 1-3/4” true PVC thermal break to eliminate heat or cold transfer from front to back steel skins. Hot-dipped galvanized steel and rugged construction will give years of solid performance for the most demanding conditions. 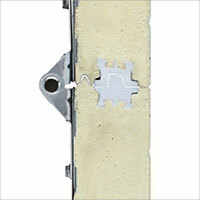 * Wayne Dalton uses a calculated door section R-value and U-value for insulated doors. 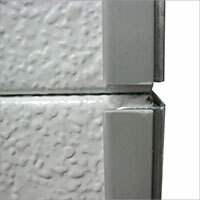 3” thick foamed-in-place polyurethane sections feature continuous steel strips for flexibility in hinge placement. Patented dual barrier tongue-and-groove joint profile creates a virtually impenetrable path for air leakage in between sections. Patented thermal performance jamb seal (optional) combines a longer flapper seal and bulb seal for superior perimeter protection. Bottom weatherseal with rigid PVC retainer and dual durometer PCV bulb seal locks out air and water leakage through the bottom section. 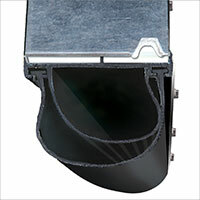 Optional outer EPDM bulb seal provides additional protection. 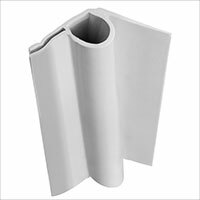 PVC thermal break on end stiles limits the transfer of temperature. The ThermoMark™ 530 meets IECC® requirements for maximum U-factor of operable fenestrations (2015 Section C402.4) with a 3rd party certified tested value of less than 0.37. ThermoMark™ 530 also meets the ASHRAE 90.1 and IECC® requirement for maximum air leakage for fenestration assemblies (2015 Section C402.5.2 Garage doors) with a 3rd party certified tested value of less than 0.40. Large lites (24" w x 13" h) available with insulated glass, tempered glass, or multi-wall polycarbonate glazing (brown, white or clear). Black frame is standard. Color matched frames are available.